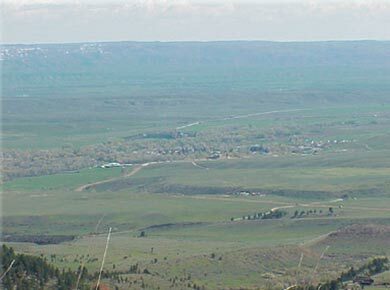 The town of Dayton frames U.S. Highway 14 as it enters the foothills of the Bighorn Mountains in northwestern Sheridan County, approximately 17 miles from the county seat of Sheridan. 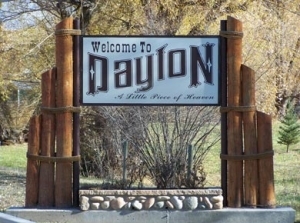 Dayton celebrated its 100th anniversary in 2006. 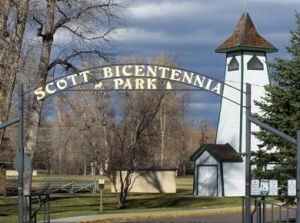 Incorporated in 1906, the town has a strong agricultural history. 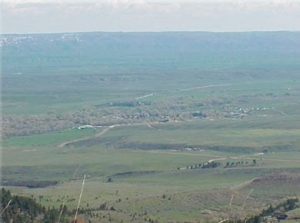 Fertile land and abundant water attracted many ranchers and farmers to the area. Timber harvested in the mountains above Dayton was hewn into railroad ties and floated to Dayton and points beyond via a wooden flume, and the Dayton Flour Mill provided the first electric power in the area. Dayton has been a progressive community since its early days, electing Wyoming’s first female mayor, Susan Wissler, in 1911. World War II saw the community protected by an all-woman volunteer fire department. The Dayton Bell Tower, used to spot planes and sound fire alarms during the war, is now a town landmark located in Bicentennial Park. Ranching remains an important part of life in the Dayton are today. The Padlock Ranch, located just outside of the town, is one of the largest working ranches in the country. Several dude ranches in the area give visitors a first-hand taste of the ranching lifestyle. Dayton’s population has grown as families move to the area seeking a more relaxed, rural lifestyle. Children attend school in nearby Ranchester from kindergarten through 8th grade, returning to Dayton for grades 9 through 12. One church is located in the community, with five more located just a few miles away in Ranchester. 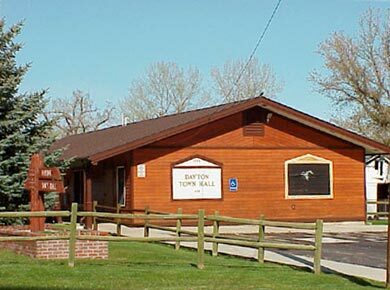 Amenities in Dayton include city water, sewer and garbage services, a post office (no home delivery), a beautiful riverside park, a community library, active community center, two museums, and an outdoor public swimming pool. Basic essentials and an eclectic mix of specialty items are available locally, with complete services and amenities just 30 minutes away in Sheridan. 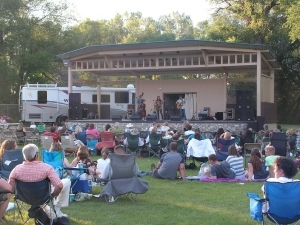 Public safety in Dayton is maintained by the Sheridan County Sheriff’s department and the local volunteer fire department.